Born June 7, 1950, in Burnsville, N.C., a daughter of the late Harley H. and Dollie (Hicks) Webb, Janice had worked as a licensed practical nurse in the healthcare industry and was a member of the Northern Ridge Baptist Church, Erie, Colo. In addition to her parents, she was preceded in death by two brothers, Charles Webb and Harley Webb Jr. Surviving are her husband, Phillip G. Cornwell, Kentucky; a son and daughter-in-law, Jason and Abbye Cornwell, South Carolina; a daughter and son-in-law, Shannon and Glenn Hoffmann, Colorado; sister of Brenda Webb and Willa Carter, both of North Carolina; beloved grandmother of Joseph Calvin Cornwell, Patrick Rex Cornwell, and Ivye Steele Cornwell; a niece; and several nephews. Friends are welcome to call at the Community Bible Church, 4549 Route 151, Aliquippa, PA 15001, on Thursday from 6 to 9 p.m. where her service will be held Friday at 11 a.m. Pastor Robert Kern will officiate. 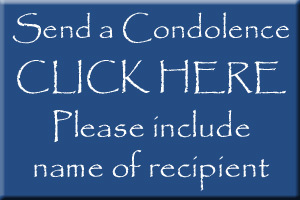 Arrangements by the MCCONNELL FUNERAL HOME, 447 Pine St., Hookstown, PA 15050.